FOREIGN CONFIDENTIAL: NK Nuke Deal: Betrayal or Breakthrough? NK Nuke Deal: Betrayal or Breakthrough? Did the United States betray Japan at the six-party talks in Beijing? Apparently so, which explains the somber mood in Japan. Important officials and influential political personalities feel let down, abandoned, used and abused by the phony phased denuclearization deal--which rewards North Korean aggression and defiance and serves Chinese interests at Japan's expense. The February 13 agreement is also counter to US security interests; but an embattled Bush administration, bogged down in Iraq and desperate for a diplomatic breakthrough on the Korean peninsula amid escalating tensions with nuclearizing Iran, does not see it that way. The US State Department has won the day. The Nobel Prize-seeking Secretary of State Condoleezza Rice and her appeasement-minded assistant and North Korean point man, Christopher ("Kim-Jong") Hill, are celebrating their so-called achievement, doing their level best to misinform the media about their deal with the Stalinist/Kimist devil. Contrary to the party line--eagerly lapped up by a fawning liberal press corps--the US has given up on genuine North Korean nuclear disarmament and instead settled for faux nuclear arms control, or pseudo-disarmament, which will allow Pyongyang to keep its illegal highly enriched uranium program. A program that North Korea does not even admit exists--like the not-so-secret tunnels and bases capable of hiding nuclear, biological, and chemical weapons. Back to Japan. 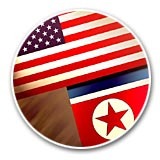 America's ally understandably feels isolated by a fuel-for-nukes accord that seems to set the stage for US diplomatic recognition of North Korea, followed by withdrawal of US troops from South Korea, and, incredibly, the eventual reunification of the peninsula on the North's terms. Aside from serving Chinese interests--Beijing does not want US troops anywhere near its borders--a staged US withdrawal would certainly undermine Japanese national security. Already, the Beijing agreement shreds Tokyo's confidence in the so-called US nuclear umbrella, under which postwar Japan has been able to build one of the world's great democracies--and the world's second largest economy--while North Korea has dedicated itself to constructing a hell on earth. As such, the deal is certain to strengthen the arguments of those in Japan who want their nation to develop its own nuclear deterrent.